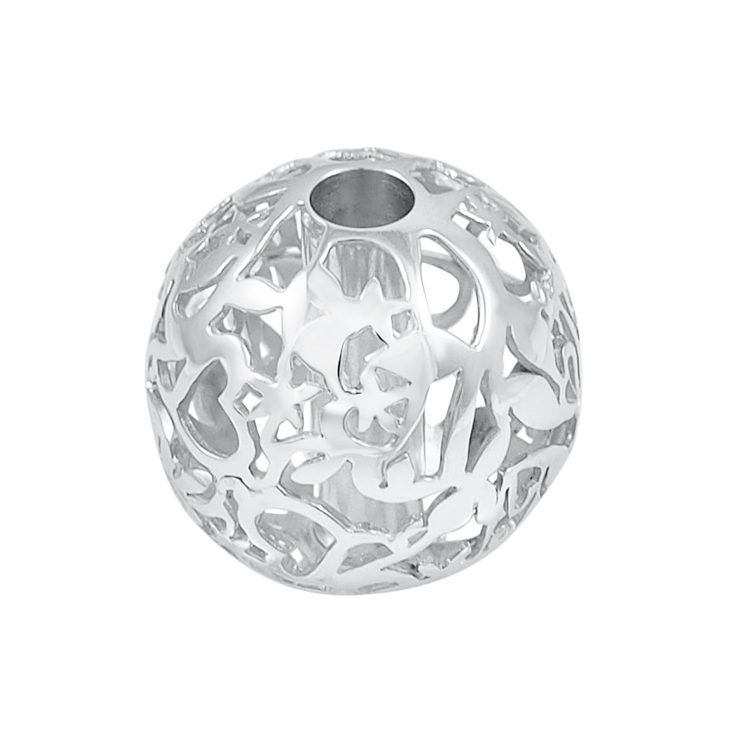 Sterling Silver ODYSSEY Composable Pendant. 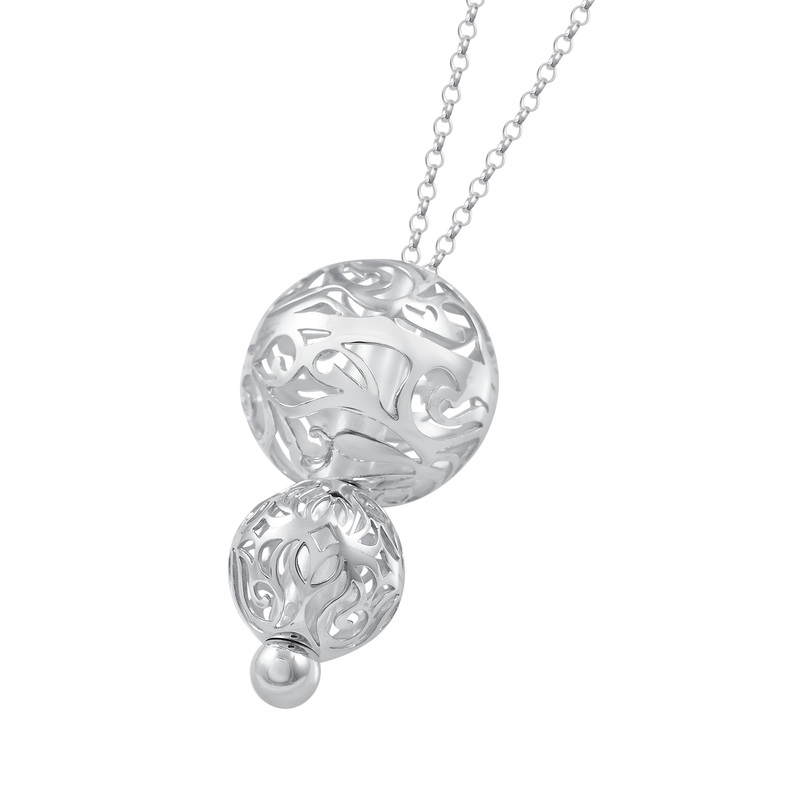 The medium pendant is 26mm in diameter with a 4.4mm hole running through it to allow for the chain. It features a repeating pattern of flowers, hearts and swirling leaves. 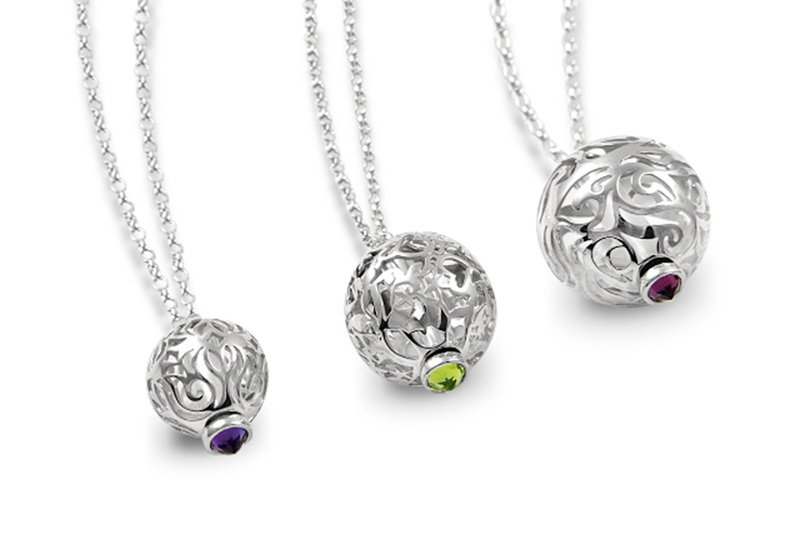 All pendants have a highly polished finish.